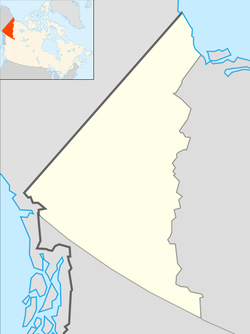 Mayo is a village in Yukon, Canada, along the Silver Trail and the Stewart River. The population at the 2016 census was 200, a decrease of 11.5% from the 2011 census. It is also the home of the First Nation of Nacho Nyak Dun, whose primary language is Northern Tutchone. Nacho Nyak Dun translates into "big river people". It is serviced by Mayo Airport. It was formerly known as Mayo Landing. The only school is J. V. Clark School, which is named after Dr. Clark. It had about 70 students in 2012. The current Principal is Ken MacGillivray. The village was named after former circus acrobat turned settler and explorer Alfred Mayo. Before Europeans came there were in the area two communities of the Nacho Nyak Dun people, who lived by hunting and trapping. The river now known as the Stewart River was known as the "Náhcho Nyäk" ("Great River"). The people lived across the Stewart River from the main focus of today's Mayo, in a district today called "Old Mayo village". The old settlement was reinstated on the initiative of a missionary, but in 1934 the river burst its banks and flattened much of the old village, destroying the church and many cultural treasures. The first gold discoveries in the area were made in the 1880s: silver was also discovered some time later. Till the mid-twentieth century Mayo was connected with the outside world by the river and received any supplies by boat. In the 1950s the construction of the Klondike Highway and the Silver Trail provided Mayo with a road link to Stewart Crossing. Between 1973 and 1984 negotiation took place between the government and the northern Tutchone leaders over land rights and self-government. A breakthrough came only in 1993 with a treaty between the residents and the lawmakers concerning an area of 1,830 sq mi (4,700 km2) and a payment, over fifteen years, totalling C$14.5 million. Together with the Tr'ondek Hwech’in First Nation an agreement has been made with Yukon Energy to supply electricity to Dawson City using the Mayo-Dawson Power Line. May 2008 saw a preliminary agreement with Alexco Resource Corp. concerning silver extraction in the Keno Hill Silver area near the far end of Mayo lake where the corporation operates approximately 40 silver mines. 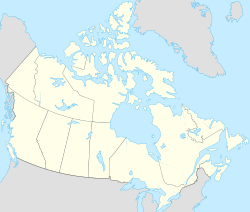 Mayo has the warmest summers in the Yukon with a mean average summer temperature of 14.5 °C (58 °F). ^ "Mayo A" (CSV (2874 KB)). Canadian Climate Normals 1981–2010. Environment Canada. Climate ID: 2100700. Retrieved 20 February 2014. ^ "Daily Data Report for March 2016". Canadian Climate Data. Environment Canada. Climate ID: 2100701. Retrieved 5 February 2017. This page was last edited on 23 November 2018, at 18:31 (UTC).